• In 1994, 1996, 1998, 2000 and 2002 the choir were semi-finalists or finalist in the Sainsbury's Choir of the Year Competition broadcast on the BBC. • The choir sang at the opening of the Millennium Dome, and at the first Holocaust Memorial Service at Westminster. • In 2008 the choir entered the BBC Radio 3 Choir of the Year open category and won the national finals. This led to a place in the grand final the following month where the choir were successful in being crowned BBC Radio 3 Choir of the Year. • The choir were invited to take part in the BBC Proms 2009 performing Handel's Messiah at the Royal Albert Hall. 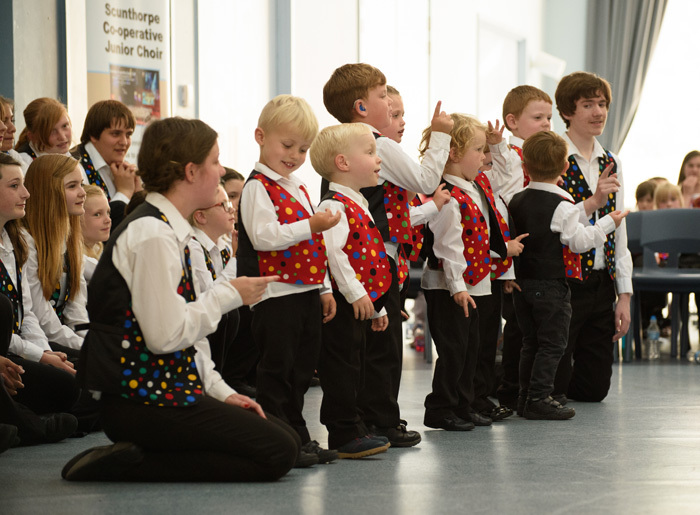 • In July 2015, the choir joined forces at Scunthorpe’s Baths Hall with hundreds of junior school children, a combined orchestra, and an adult choir of over 100 to perform in a concert inspired by the BBC Ten Pieces project. Handel’s Zadok the Priest was the centre-piece of this monumental event, and the sound was mind-blowing. • The choir regularly take trips abroad and in the past have visited Australia, Canada, Wales, France, Germany and Italy. There is a simple uniform that all choristers are expected to adhere to and wear at all official concerts and functions. All music and folders are provided free of charge. If you would like more information about when the choir meets, costs and rehearsal times please visit our Join Us page. Our musical directors all firmly believe that choral singing is the purest form of music-making. There is little else which creates such a sense of community, and which is accessible to people from all backgrounds regardless of educational and musical experience. Scunthorpe Cooperative Junior Choir has inspired hundreds of young people over the past 80 years, immeasurably changing their lives. 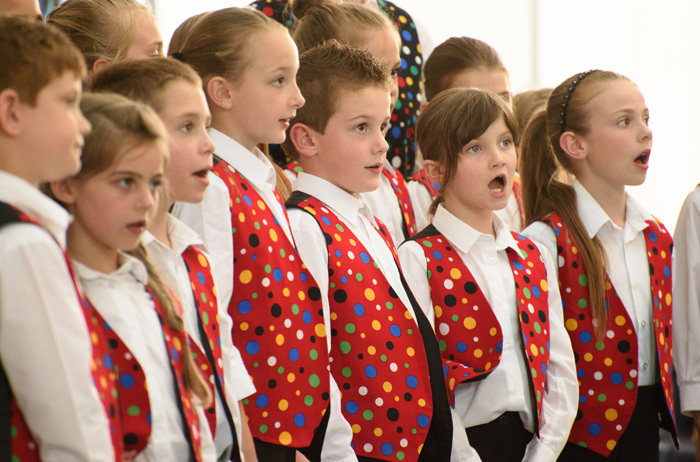 The older training choir welcomes keen singers from 6 - 9 years of age. 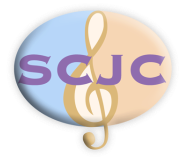 The choir is led by former SCJC chorister Kathleen Watson who has almost 15 years experience as a choral singer and music educator. The Friday evening sessions last from 5:30 until 6:30, and provide children with a wide variety of lively musical experiences. 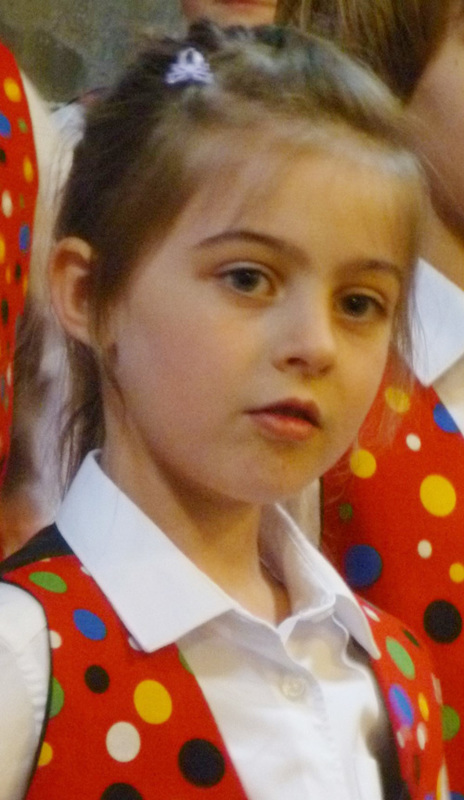 Children learn simple choral repertoire, carefully selected to suit the range and tone of developing voices. Through these songs children develop skills in following a conductor, singing in unison and harmony, accurate pitching throughout the range of their voices, expressive articulation of lyrics, and appropriate vowel formation. 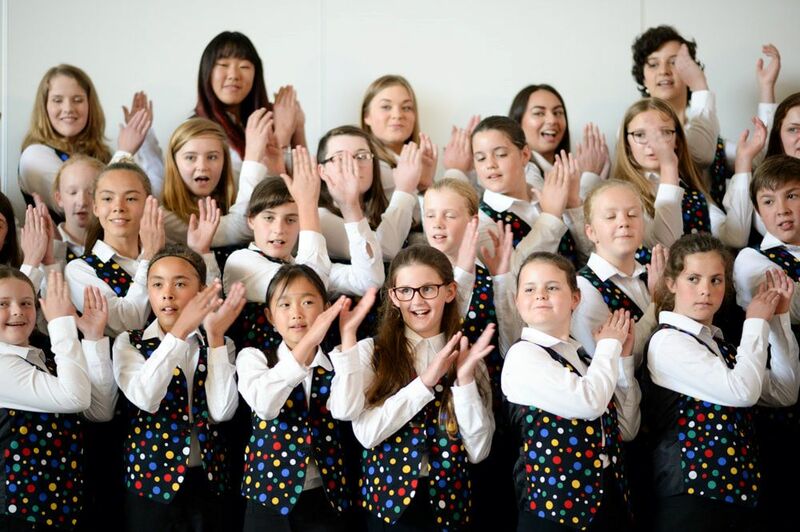 In addition to a more formal choral singing situation, a considerable proportion of the rehearsal is spent building a variety of musical skills through lively singing games and rhymes. Through these games children improve their ability to collectively keep a steady pulse, distinguish between pulse and rhythm, discriminate between sounds and voices of different tone quality, and match the pitch of other singers. Children are encouraged to take turns at these games, often singing solo lines, or performing unique actions in time to the pulse. 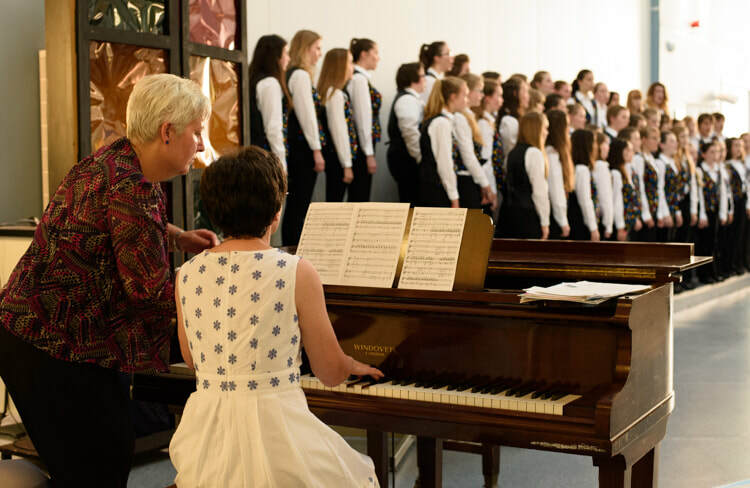 The choir performs in one or two local concerts each term, and the experience of performing in front of attentive audiences prepares them for life in the main choir. 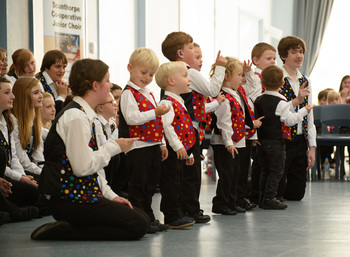 The younger training choir caters for children from 3 - 5 years of age. The choir is led by Jenny Trattles, whose passion for music education is infectious. The Friday evening sessions last from 5:30 until 6pm, and are action-packed with singing games and rhymes. The actives are based on the musical philosophy of the composer Zoltán Kodály, who believed that children should be given the opportunity to experience high quality music at a level appropriate to their development. The songs are carefully selected to help promote skills such as keeping a steady pulse, performing simple rhythm patterns, listening for tone quality, and accurately matching the pitch of other singers. These singing games and rhymes are also excellent for developing early literacy and numeracy skills, as well as promoting social skills and building confidence. Children attend along with their parents, who are also encouraged to join in with the session. The younger training choir performs in one or two concerts each term, and for some this is their first experience of performing in front of an audience.